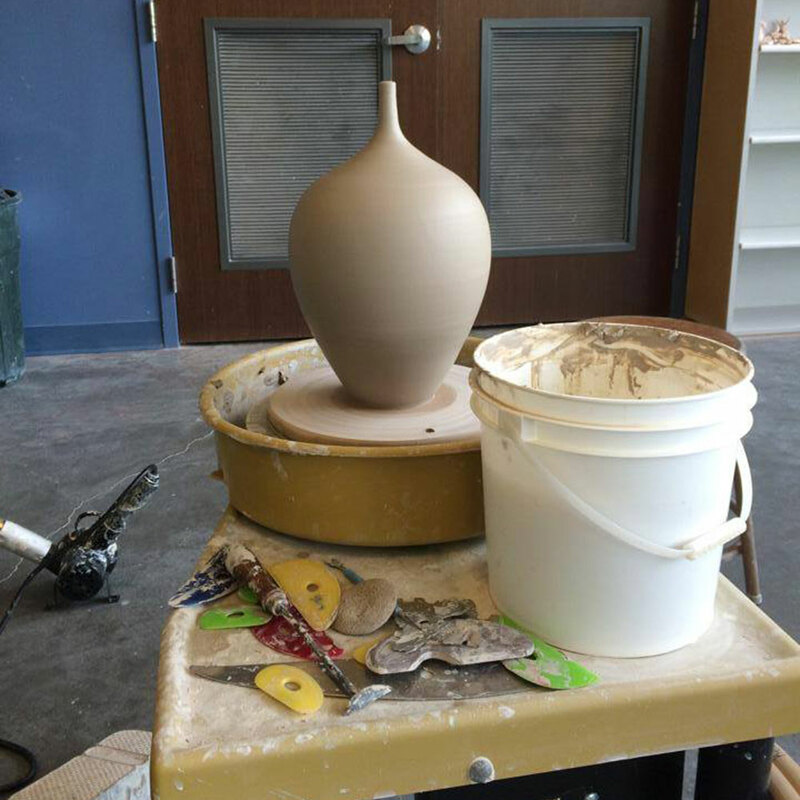 Eric Stearns begins each piece on the potter’s wheel. This wheel thrown vase is a good example of a form that works well with Stearns’ pierced and glazed decorative elements. 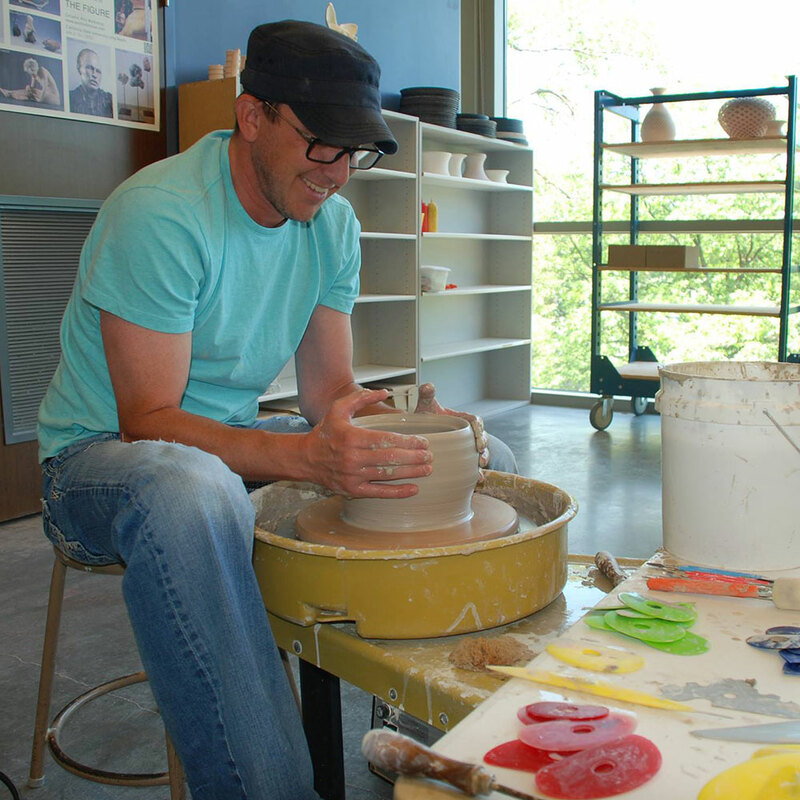 Many of the tools he uses while throwing are visible on the tabletop of the wheel in front of the vase.